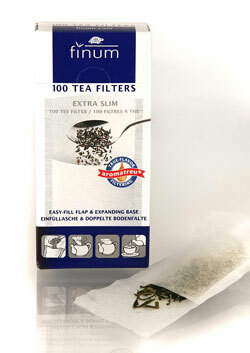 The Cup-Topper makes our quality tea infusion process foolproof. 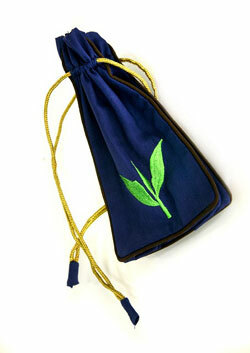 Using Twelve Winds Tea Company’s high quality tea and this Cup-Topper, you can re-infuse the same leaves 4 to 8 times. This item does not include the glass mug shown in the photo. 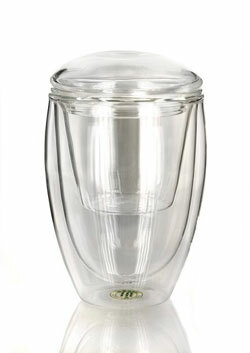 Double-walled borosilicate glass. Includes infuser, lid and coaster. Paula purchased these while in the famous ceramic city of Chao Zhou of the Guangdong Province. 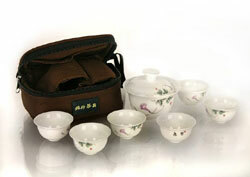 These sets include the lid (gai), the bowl (wan), and tiny matching cups in a padded, brown fabric, zippered traveling case. 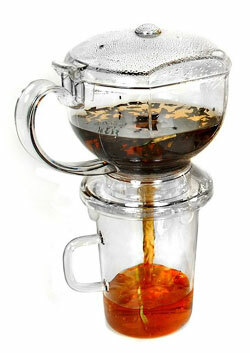 From the London Teapot Co. this very practical device is easy to use. There are 3 parts - the lid, the infuser, and the holder. Made in Germany, these true-flavor filters of abaca pulp, cellulose and sealing fiber are practical with no mess either at home or on the road. 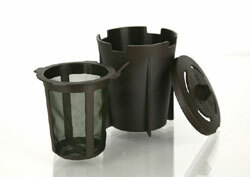 Each filter has an easy fill flap with an expanding base (gusset) to allow for the expansion of the loose leaf tea. 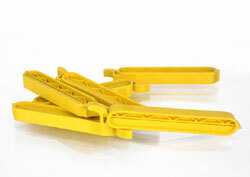 When the 4 gram sampler foil bags or the 50 gram Best Buy pouches are opened, these clips perfectly fit across to form a tight seal. Includes one bag of six tea clips. Paula designed the cotton, drawstring bags (4" wide x 7 ¼" high x 3" gusset) in three colors - cobalt blue, sunny yellow, and hot orange. 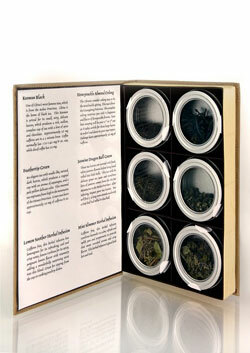 These were designed to contain at least 6 of Twelve Winds Tea Company's 4 gram sampler packets. For the connoisseur of teas, what a gift! This unique way/device displays your teas for a tea party or tea tasting. For this price, the tea menu does not come with any teas or the informational menu on the left side.